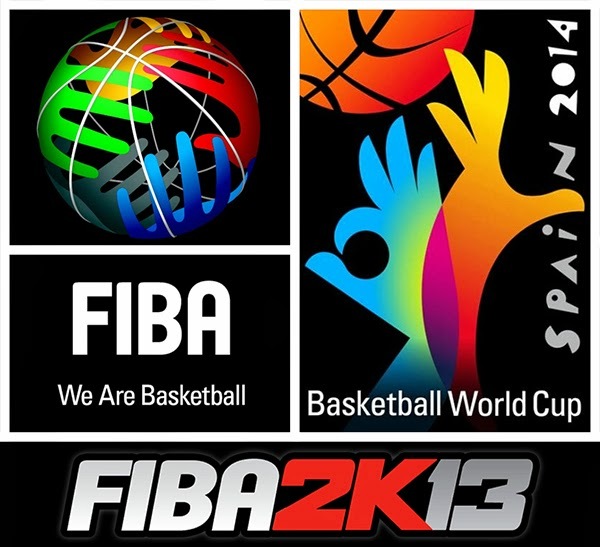 Description: Here's a small update for the FIBA 2K13 mod to keep us busy while waiting for NBA 2K14. The newest patch fixes certain things from the previous release. It also includes a new roster file with updated player ratings and attributes. * Indicates the teams/countries that qualifies to the FIBA World Cup 2014 in Spain. Currently not available: Egypt *, Senegal *, Mexico *, Ukraine *, + four teams from Wild card selection. Note: Make sure that you download & install v1.1, v1.2, and v1.3 in order. 3. Open the "Main Folder Files" folder and copy ALL the files (.iff) into NBA 2K13 game directory. It will ask you to overwrite/replace some existing files. Choose yes (Copy/Move & Replace). 4. Open the "Roster File" folder and copy the roster (FIBA 2K13.ROS) into NBA 2K13 Saves folder. Click the windows start button or open run (Windows key + R) then type %AppData% in the searchbox and press 'Enter'. Open the 2K Sports folder > NBA 2K13 > Saves. 5. Run nba2k13 and go to options then load the FIBA 2K13 roster. Have fun! Credits: Eda, Pinoy2KModders, JMaster21 & other CF makers.